With so many things to see and do in our area, we thought we'd give your our top 10 favourite ideas of things to do whilst you're staying in south Lincolnshire. Rutland Water is an internationally famous nature reserve and provides one of the most important wildfowl sanctuaries in Great Britain, regularly holding in excess of 25,000 waterfowl. The Reserve is also home to the successful Rutland Osprey Project. It is also a great place for hiring a cycle or walking around. To find out more see our Gardens And Wildlife and our Cycling And Walking pages. The first stop for any student of Georgian architecture has to be Stamford (about 15 miles away). The streets are lined with house upon house of interesting features and classical lines. This brings with it boutique shops and good places to eat. See our Cities and Market Towns page for more ideas. 3. Visiting Easton Walled Gardens. An out of hours walk around the 12 acres of Gardens is what makes staying with us so special. See the Gardens' website for more details. Grimsthorpe Castle is truly a hidden gem. It is rarely crowded but the architecture, collections and landscape match some of our most famous houses. Designed by Vanbrugh and visited by Henry VIII, Grimsthorpe Castle is a 15 minute drive from Easton or 10 minutes from The School House in Burton-le-Coggles. For more information see our Cathedrals, Castles and Country Houses page. 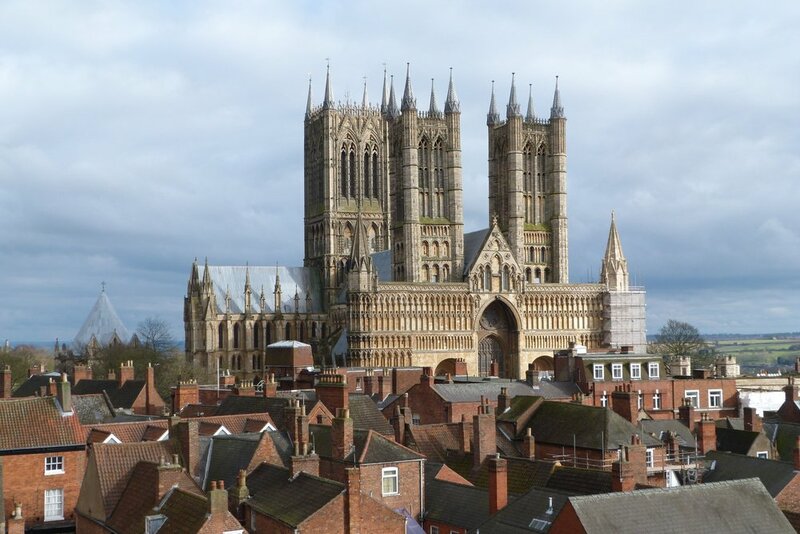 One of the finest cathedrals in the world, Lincoln Cathedral is, frankly, awe inspiring. Ruskin described the cathedral (once the tallest building in the world) as "out and out the most precious piece of architecture in the British Isles." Next door in the Castle, you can combine a visit to see Magna Carta in the vaults. The Cholmeley Arms is an Award Winning Country Pub set in an acre of grounds in the centre of the pretty Conservation Area Village of Burton-le-Coggles. The Cholmeley Arms is independently run Estate Pub and has been run by John and Lesley Berry since 2009. Booking is essential, especially at weekends. See our Eating page for more. Owned and run by the National Trust also own Sir Isaac Newton's birthplace in Woolsthorpe-by-Colsterworth is beautifully interpreted and has a small café and science room in the old stables. 8. Shopping for fresh bread and scones at the award-winning Hambleton Bakery. Hambleton Bakery produces top quality traditionally made bread for Hambleton Hall and Hart’s Nottingham. In addition to a growing list of wholesale customers (pubs, restaurants, delis, etc) the bakery now has retail outlets in Exton, Oakham, Market Harborough, West Bridgford, Stamford and Oundle. Its bread and scones form part of the welcome packs in our cottages and lofts. For more information see our Cities and Market Towns page. Easton Walled Gardens runs workshops from the Coach House throughout the year. Favourite courses include 2 day workshops such as willow weaving and botanical art courses. Less than half an hour from the Easton Estate, Manor Farm Cookery School offers tailored courses and regular themed cookery days throughout the year. See our Workshops And Courses page for more information. Burghley House is a friendly, world famous house. Built by William Cecil, Queen Elizabeth I's closest adviser, it is still lived in by his descendants and boasts a fantastic collection of exciting murals and beautiful works of art.